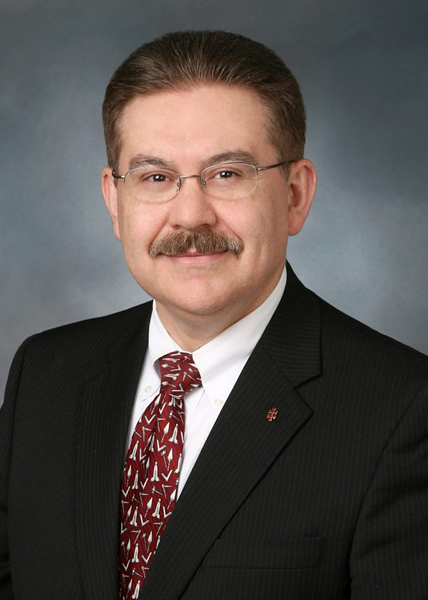 In this installment of Sojourners, noted author, editor, and translator Arturo de Hoyos takes some time to discuss anti-Masonry, esoterica, and his work and role as the Grand Archivist and Grand Historian of the Supreme Council of the Scottish Rite in the Southern Jurisdiction. His biography on Amazon reads that he is considered“America’s foremost scholar on the history, rituals, and symbolism of Scottish Rite Freemasonry, and most other Masonic orders, rites, and systems,” a claim that readily becomes apparent in even just a few brief minutes of talking with him. Greg Stewart (GS) – Br. de Hoyos, thank you for taking the time out of your busy schedule. I’d like to start with the basics by asking how long have you been a Mason? Do you recall who or what ultimately induced you to become one? Arturo de Hoyos (AdH) – I’ve been a Mason about 26 years. I was actually interested in joining earlier, but didn’t know any Masons. When I was a kid, I grew up in Utah. My parents are LDS and, when I was young, I was raised in their faith. Although I no longer share their religious views, I was intrigued when I learned that Joseph Smith, Jr., the founder of Mormonism was a Mason, as were many of its other early leaders. As I began to investigate Masonry I was impressed with its principles, its unique system of morality, by its antiquity, legends and rituals. The notion of men meeting upon the level, uniting in a common good irrespective of nationality or creed appealed to me. A couple of years after moving to Texas I attended an open house at my local lodge (McAllen No. 1110), and asked for a petition. Remarkably, I was the only person to attend that night, but I’m glad they left the lights on, and I think it also paid off for them. At least I hope so! GS – Did your experience live up to the expectations you had built up about it? AdH – Joining definitely lived up to my expectations. I found the ritual very satisfying and the members of my mother lodge amazing. The secretary was a Past Grand Master and Thirty-third Degree Scottish Rite Mason, and we had the strongest lodge in the Rio GrandeValley. My lodge has given Texas three Grand Masters, of whom we’re quite proud. We were frequently called upon to confer degrees in other lodges, and several of our members were expert ritualists. But it was more than that. There was a genuine comradery amongst the members, which I can honestly (and perhaps sadly) say I haven’t seen equaled in other lodges. Although I’ve certainly enjoyed my lodge experiences elsewhere, I felt that my mother lodge had a perfect balance. Perhaps it’s an idealized reflection like one’s “first love,” but there was such a deep affection and friendship among the members, that we were willing to help each other at the drop of a hat. There was a warm spirit in the lodge, and a sense of pride that we had several members capable of conferring all the work and giving all the lectures. If someone was ill, we’d show up and help with whatever we could. It was like the The Lodge in Friendship Village, if you’re familiar with the book. GS – Without a doubt your role with the Supreme Council speaks to your affinity with the material, but I’m curious what lead you into your role? AdH – It’s pretty easy to get my position. You simply have to read everything on Masonry ever written, remember most of it, and then write about it. I’m joking of course, but it was my fascination with everything Masonic that eventually got me here. I am, first and foremost, a bibliophile. Once I joined I read everything I could get on Masonry, including things like Mackey’s and Coil’s encyclopedias, cover-to-cover. The first Masonic book I wrote was a response to anti-Masonry in which I revealed all the sources used in a sermon against the fraternity, and showed how the speaker was disingenuous. Although the speaker didn’t reveal them all, I was familiar enough with Masonic literature, that I recognized his unreferenced sources, and knew what was taken out of context, and paraphrased or distorted. GS – Do you remember who that preacher was and the sermon that you rebutted? AdH – I do, The preacher which caused me to respond was Dr. Ron Carlson (d. 2011) [he] made a living selling anti-Masonic tapes, and giving anti-Masonic sermons, along with bashing other faiths which were not his brand of Christianity. GS – The sermon was Freemasonry, Masonic Lodge and the Shriners Are Not Compatible with Biblical Christianity. Did Carlson ever respond to your book? AdH – Carlson refused to debate me publicly, even though he was the one who made the offer. Sadly, he died before I could send him my Albert Pike’s MORALS and DOGMA of the Ancient & Accepted Scottish Rite of FREEMASONRY (Annotated Edition) . I wanted him to see how he’d misquoted Pike, and blamed him for “ant-Christian” remarks that were actually made by Christian ministers. The book I sent him was Cloud of Prejudice. He signed the receipt, which I included in the second edition, along with my acceptance of his challenge to a debate but wouldn’t talk to me personally. GS – So then, how does one become a Grand Archivist and Historian in the Rite? AdH – I have tried to learn about every aspect of Freemasonry: its history, symbolism, and ritual. I have tried to read and study something about the history and rituals of every Masonic organization on the planet, in order to understand how they are interrelated, and grasp their inner teachings. This is not an easy task, and my abilities as a polyglot were a great help. Stubbornness is also useful! How did I get here? Grand Commander C. Fred Kleinknecht asked me to take the position. For about 20 years I’ve served on the board of the Scottish Rite Research Society, and had previously done some contract work for the Supreme Council over the years. I had also traveled to DC on my own and would spend days at a time researching in the library and archives when I was researching the origins of Morals and Dogma. I knew the library and archives so well that they’d actually call me in Texas to ask where something was located. When the position opened, Bro. Kleinknecht called me and invited me to fly to Washington to discuss it. I accepted. GS – Knowing what you know now, would you do it again? AdH – Yes, I would. It’s involved a tremendous amount of work, but has been rewarding. GS – Is there any one instance that would sum up your role as the Grand Archivist and Historian? Any good take aways from the experience? AdH – I believe that my role is to preserve and disseminate Masonic light and knowledge. One of the things I’ve tried to do is publish and/or write books which I wish had existed when I was a younger Mason. It was well-nigh impossible to find some of the things I’ve published when I was younger. What have I taken away? The satisfaction of knowing that I kept true to my obligation as a Past Master to share Masonic light and knowledge with my Brethren. GS – So, I’d like to delve into an area that is a personal favorite of mine. Very often terms like occult, esoteric, mystical and so on get tossed around in the definitions of descriptions of Masonry. I’m curious, from your perspective, what do you see as the role of these esoteric aspects? AdH – Some people see Freemasonry as the outer fraternity to an inner mystery. Certainly, some types of Freemasonry employ symbols common to the esoteric schools and to alchemy, but not all types of Freemasons do. There’s a question as to how, and whence it derived its esoteric symbolism. Our Masonic forefathers were familiar with the interests of their day, and as well as the popular contemporary literature. Freemasonry is both eclectic and organic. It uses symbols to teach lessons in a way very similar to the books of Choice Emblems published throughout its formative years in the Seventeenth and Eighteenth centuries. But what role does it all play if our teachings don’t have any practical purpose? If they have none, they aren’t really of value. I think they are there to point us to further fields of study, as do other things mentioned in Masonry, like the orders of architecture, or the cardinal virtues. Freemasonry states its truths, and points the way to education, admonishing us to learn the greatest mystery: who and what we are, and what our obligations are. Freemasonry is “occult” in the sense that its mysteries are hidden or concealed, which it the literal meaning of the word. I do believe that Masonic ritual conceals its truths in unique ways which are esoteric, but Masonry does not teach practical magic. It is not an occult school in that sense, as Pike makes clear in a couple of places. GS – This may dive even deeper, but what do you see as some of the deeper meanings of Scottish Rite Masonry? Is it a subject that can easily be distilled down into a few sentences? AdH – Scottish Rite Masonry is the intelligent advocate of the principles of an enlightened society. It advances the notion that we can create an empire of reason and wise morality, and its degrees provide practical examples, in symbolic form, of what is necessary to achieve this. It prompts us to consider ourselves as integral to the advancement of the human race, and challenges us to make ourselves fitting to the task. It teaches us that duty is the one great law of Masonry, and obligates us to its performance stressing that we must come to understand the great mystery of who and what we are: mortal in body, although immortal by the results of our actions. GS – You’ve spent a great deal of time surrounded by Pike’s writings, ideas and ephemera. Do you have a sense of what he was ultimately trying to communicate in the body of all his work? Did what he was trying to say change over time and do you think his ideas work in the world today? AdH – Pike’s ideas did change with time, as I explained in the book Albert Pike’s Esoterika: The Symbolism of the Blue Degree of Freemasonry. As he matured, [Pike] discarded some of the popular but unfounded notions on the origins of Masonry, and realized that Freemasonry’s practical value lay in its ability to transform lives for the better, but he believed it also assured us of a future existence after this life. Pike’s ideas continue to be valuable today because human nature is the same. Technology is merely a tool for humans; it doesn’t modify who we are. Pike notions of Masonry inspire men to greatness. His ritual revisions provide valuable teachings in a profound and simple way, which resonates with the thinking man who has overcome the notions and credulities of childhood. GS – So, from the depths of the esoteric, I’d like to come back up and talk about the Supreme Council in general. I’m curious what you see as the greatest strengths of the Scottish Rite and how that compares with the strengths of lodge masonry? Do you see the two as different institutions on similar paths or one and the same occupying the same space? AdH – In my view, the strength of the Supreme Council lies in its coherence and stability. Unlike Grand Lodges, [the Scottish Rite’s] government does not change every year, or every couple of years which permits the Scottish Rite to set and follow its goals without fearing they’ll be discarded in twelve months. Grand Lodges are necessary and useful, and not in any way a competition to the Scottish Rite. In fact, I believe that Scottish Rite adds value to the Blue Lodge by its coherence. The best Scottish Rite Masons I know are strong supporters of the Grand Lodges. GS – Is there any one artifact, work, item or book that you feel really stands out as a jewel in the crown of the Rite that readers might not have heard of before? AdH – That’s tough. I believe that Esoterika is such a jewel. Before I published it, almost no one knew that Pike had written a book on Blue Lodge symbolism, since there were only two handwritten copies in the world. Of course, Morals and Dogma is a masterpiece of an anthology on comparative religion and philosophy. The 20 years I spent reverse-engineering the text, and the 4000 notes I put in my published annotated edition taught me a hell of a lot along the way. It’s quite remarkable when read with the notes, if I can flatter myself for a moment. GS – One last question, who is the person who influenced you the most? AdH – Masonically, it’s not Albert Pike. I know that may surprise some people, but the Mason I respect most is Giles F. Yates (1799-1859), of Schenectady and Albany, who was once a member of our Supreme Council, but later transferred to the Northern Masonic Jurisdiction eventually becoming Grand Commander. Yates was indefatigable. 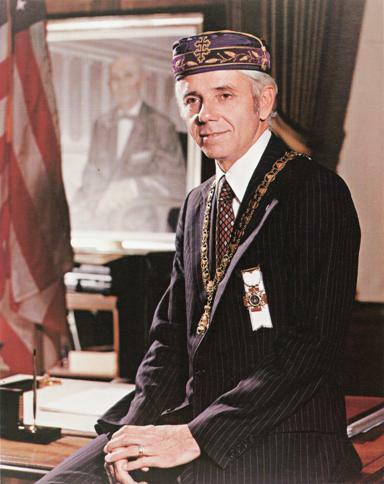 He revived Francken’s Lodge of Perfection, authored the first Scottish Rite Monitor, wrote the first ritual revisions of the Scottish Rite, wrote an etymological study of its secret words, and pushed J.J.J. Gourgas to revive the Scottish Rite in the Northern Masonic Jurisdiction following the Morgan affair. He was an antiquarian, and built the Schenectady Lyceum and Academy which future President Chester A. Arthur attended. There’s much more I could say about Bro. Yates, but let me sum it up by saying he was an amazing man and Mason. His personal motto was “prodesse quam conspici” (accomplish rather than be conspicuous). My thanks to brother de Hoyos for taking the time out of his busy schedule to spend some time as one of our Sojourners. You can find more information on the Scottish Rite by visiting their website. Sojourners is an occasional column featuring interviews with notable individuals from around the Masonic landscape.